Wellsville American Legion, 23 Jefferson St. 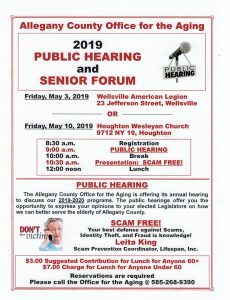 The Allegany County Office for the Aging is offering its annual hearing to discuss our 2019-2020 programs! 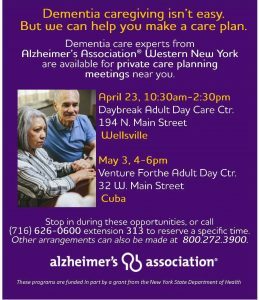 Venture Forth, Cuba, 32 West Main St.
Dementia Care Experts are available for private care planning meetings! 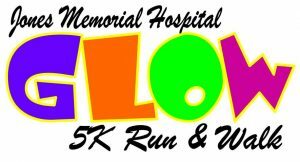 The GLOW RUN will be at the Wellsville Municipal Airport May 3. Grab your family, your friends, and register today! This year’s event will reach new heights!